Icons of Modern Art is the collection of Russian textile merchant Sergei Shchukin. Described as one of the world’s finest collections of modern art, it is currently on view outside of Russia for the first time in nearly 100 years at the Fondation Louis Vuitton in Paris. The wealthy businessman and arts patron, Sergei Shchukin amassed over 250 works of impressionist and post-impressionist masterpieces including 50 Picassos, 38 works by Matisse, 13 Monets, eight Cezannes and four Van Goghs. However, in the aftermath of the Russian Revolution in October 1917, Shchukin’s collection was expropriated by the state, broken up, and distributed among museums in Moscow and St. Petersburg. Russian President Vladimir Putin met with LVMH Moet Hennessy Louis Vuitton SE CEO Bernard Arnault in Moscow on November 24, 2016 thanking the businessman for arranging an exhibition of the famous collection in Paris. The Russian leader welcomed Arnault, the second richest man in France, and the fourteenth richest man in the world, to the Kremlin and reportedly expressed his regret that he could not come to see the collection himself. 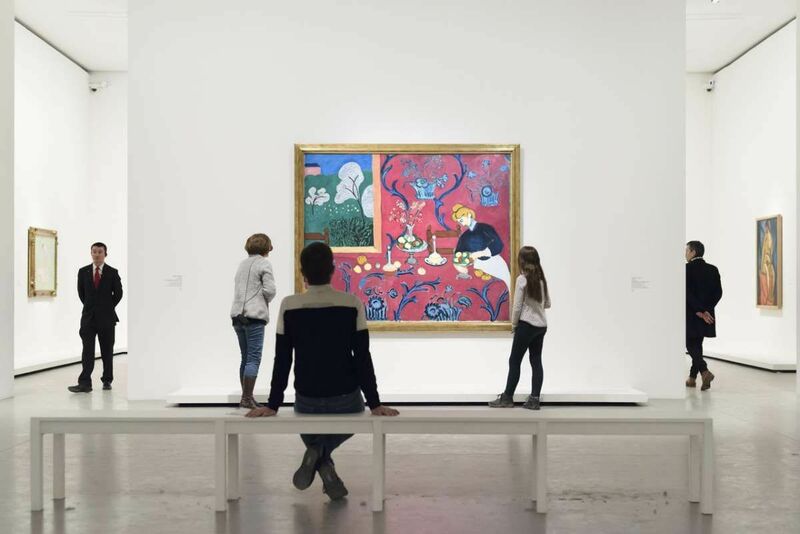 The Fondation Louis Vuitton initiated and arranged the exhibition, “Icons of modern art. The Shchukin Collection”, which opened in Paris on October 22, 2016 and closes on March 5, 2017.